Outdoor lighting is about more than providing the exterior of your home with enough light. This type of lighting can also enhance the appearance of your house and yard. Creative Nightscapes can help ensure that your Argyle home has the exterior lighting it needs for added beauty and security. 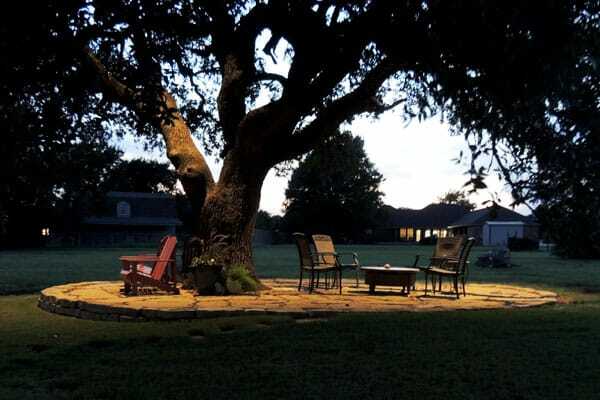 Our experts provide the best outdoor lighting in Argyle, Texas. With our lighting options for your property, you can expect to have superior exterior lights that create a warm and welcoming environment for your family and guests. 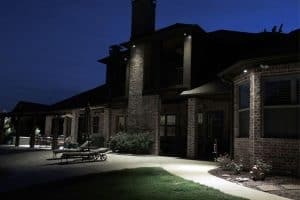 Creative Nightscapes has more than a decade of experience designing and installing outdoor lighting for homeowners in Argyle and the surrounding area. Whether you need landscape lighting to highlight specific features, garden lighting, patio lighting, pool lighting, security lighting, or exterior lighting, you can depend on the lighting experts at Creative Nightscapes to provide you with exceptional service. Our experts will work with you in coming up with an outdoor lighting plan that best suits your Argyle home. When you need the best outdoor lighting in Argyle, you can count on us for high-quality service. Our outdoor lighting options include LED lighting that helps you save on energy costs while keeping the exterior of your home well-lit. Contact us today for a free quote and to learn more about our outdoor lighting design and installation services for homeowners in the Argyle area. Landscape lighting gives you an opportunity to draw attention to particular landscape features. This can improve your home’s curb appeal while also providing your yard with extra lighting for better security and a lower risk of falls. 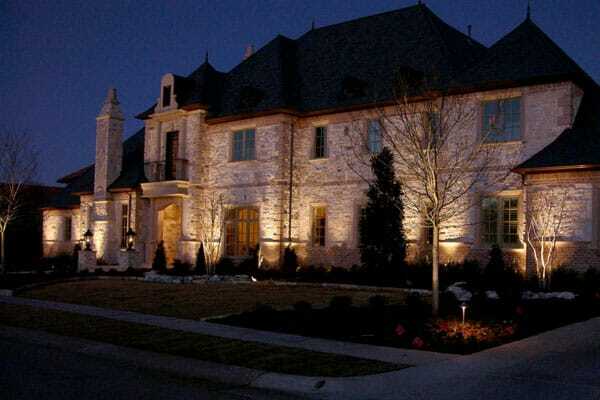 When you need landscape lighting installation and design in Argyle, Creative Nightscapes is here to help. Our team of lighting experts can create a landscaping lighting plan based on specific factors, such as the types of landscape features you have and the general layout of your property. We offer LED lights for better energy-efficiency, low voltage landscape lighting, and many other options to consider. At Creative Nightscapes, our landscape lighting installation and design services offer you a chance to enhance your property and enjoy improved security. Since there are so many options to choose from, you can rely on our lighting experts to guide you through the entire process. Our experts will consider your design preferences, along with practical factors, to come up with a landscape lighting plan that’s perfect for your property. Our selection of landscape lights includes different styles, brands, and colors to choose from. Whether you’re interested in drawing attention to a couple of features or providing your landscaping with more lighting overall, the lighting experts at Creative Nightscapes can bring your ideas to life. We offer landscape lighting installation and design in Argyle that can help you highlight water features, garden walls, or other features that are part of your property to create a stunning appearance. Contact us to get a free quote for your Argyle home. The cost of living index in Argyle is 131, which is considerably higher than the national average of 100 and the Texas average of 90. The average income per household is $111,616, which is nearly twice as much as the average household income in the state and the U.S. overall. Average home prices in Argyle are around $346,000, which is higher than the national average of $175,000 and the state average of $131,000. Roughly 3,282 people call Argyle home. Despite the high cost of living, the town offers excellent schools, a low crime rate, and great job opportunities. These factors have made Argyle a very desirable place to live. Argyle residents who want to make a difference in their community can volunteer with the Boards and Commissions in the town, such as Planning and Zoning or Crime Control and Prevention. Argyle provides residents with convenient access to Dallas and Fort Worth. Residents can take TX-114 E or I-35E S to get to Dallas, which is about a 50-minute drive depending on traffic conditions. Argyle residents can also drive for about 40 minutes south on I-35W S to reach Fort Worth. Argyle covers 11.4 square miles total, so it’s not the biggest town in the Dallas/Fort Worth area. However, residents do have a few places to visit and things to do within the town’s borders. Residents can spend mild days enjoying the fresh air and sunshine at Integrity Park. Community sports teams also play here, so residents can make plans to attend games and cheer them on. The town offers a few amenities for those who want to catch a bite to eat when they’re out running errands. Along the main stretch of town on US-377, residents can have a cup of coffee and baked goods at Coffee Tree Cafe or Kimzey’s Coffee, order Mexican food at Fuzzy’s Taco Shop and have some Italian food at Earl’s 377. We have talked for several years about having landscape lighting installed. After walking around our neighborhood more times than I can count and gathering ideas by seeing what other families had done, we contacted Creative Nightscapes. We met with Jerry and described what we were after and then he put together a proposal and made several additional recommendations for both the front and the back yard. We hesitated at first about adding a couple of the extra features he recommended, but decided to go with some additional moon lighting and up lighting ideas he suggested. I'm so glad we did. We can't spend enough time outside enjoying the final setup! The install team did a fantastic job and post install we ended up having them come back out to add one additional light to finish lighting up one area. If you are on the fence about who to call. Call Creative Nightscapes. You won't be disappointed! Installed Kichler LED outdoor lighting at home in Argyle. Mounted down lights in trees to create a moonlight effect and to illuminate play areas, yard, and walkways. Placed up lights to accent tree canopies. Installed Kichler LED lighting at home in The Oaks of Argyle. Mounted down lights in eaves to highlight the yard behind the gate, the pool deck, and the lounge are. Placed up lights to accent to facade of home, wood columns, dormer window, Vitex trees, Magnolia tree, Oak trees, and trees behind fire pit area. Mounted hardscape lights to highlight firepit and spa seating. Installed Kichler LED outdoor lighting at home in Canyon Oaks. Placed up lights to accent facade of home, columns, peaks, flag, and trees. Mounted down lights in trees to create moonlighting effect, illuminate walkways, yard, and driveway. Installed Kichler LED outdoor lighting at home in Egbert Estates. Mounted down lights to illuminate patio area. Placed up lights to accent facade of home and tractor. Set path lights to highlight walkway. Added Kichler LED lighting to existing system at home in Liberty Crossing. Placed up lights to accent trees: River Birch, Willow, Evergreen, and Douglas Fir.